Two great locations one happy family! Funtasia Waterpark Drogheda & Funtasia Fairground Bettystown. 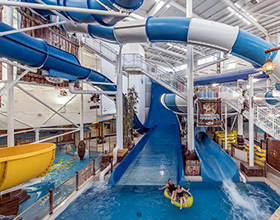 Ireland’s Largest INDOOR Waterpark with over 200 water based activities. Super slides such as The Super Bowl speed slide or the gravity defying Boomerang slide that literally boomerangs you 60ft up in the air! 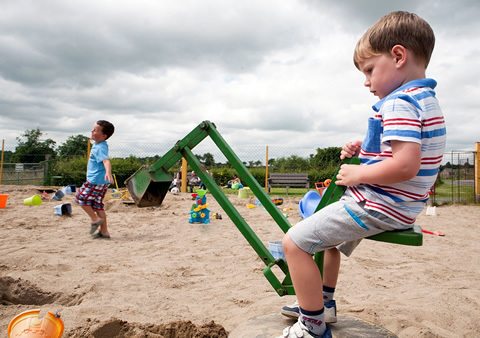 For the little ones toddlers splash area is perfect to capture the imagination of all the young budding pirates. For all the adults there is jacuzzi perfect for relaxing. 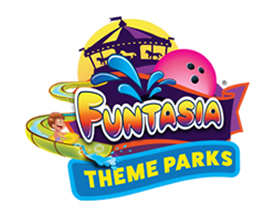 Funtasia Waterpark Drogheda carters to all ages making it perfect for a fun day out with plenty of things for the family to do. That's right Funtasia Waterpark Drogheda besides having Ireland's largest indoor waterpark has plenty of other activities and attraction to keep the family occupied for the whole day. From the multi-level Atlantis Cove soft play area to the Sky Climb Aerial Assault course there is a wide range of activities for all ages. There is also the Pharos Fast Food area where you can grab a bite to eat with the family during the day. All the usual fast food option like burgers, chicken nuggets and pizza. If fast food isn’t your thing there is deli where fresh sandwiches and paninis can be ordered. 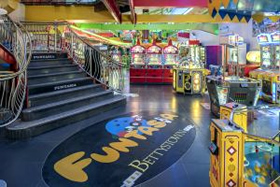 Funtasia Bettystown has 3 stories of fairground rides that caters to children of all ages so you’d be hard pressed to run out of things to do with the family! On the ground floor for the bigger kids we’ve got our Big Bumper cars and the Gyro loop that flips you upside down and all around for thrill seekers only. 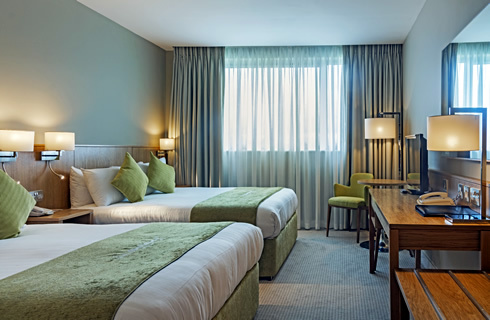 For the smaller boys & girls the ground floor has got kids attractions like Convoy kids Carousel and the Indoor Ferris Wheel. 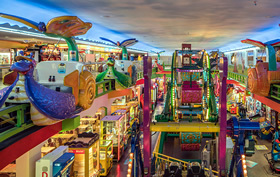 The second floor of Funtasia Bettystown is more geared towards the smaller children with rides such as the popular Kids Safari Train, Butterfly Monorail and Kiddies Bumper Cars. For bigger kids on the second floor is 3D Motion Theater where you can feel like you’re whizzing through a space theme rollercoaster or a haunted mine all without ever leaving your seat! 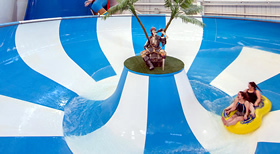 During the summer season weather permitting the outside roof ride open at Funtasia Bettystown. 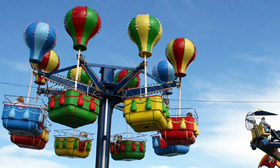 Here you can find some of Funtasia Bettystown’s bigger fairground rides such as the DropZone 49ft drop or the Caterpillar themed rollercoaster. 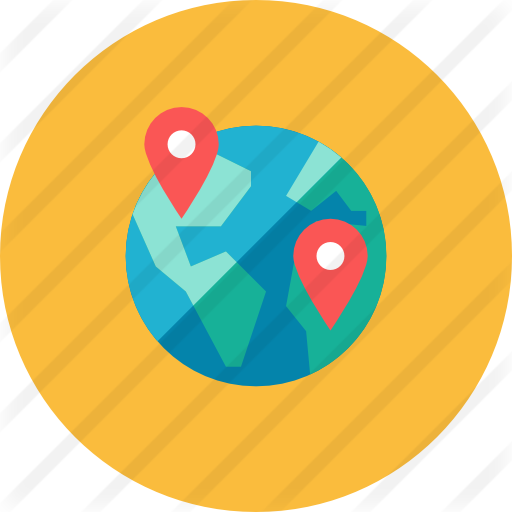 You can also get a great view of the the surrounding area of Bettystown from the Hot Air Balloons rides & the Sky Gliders. 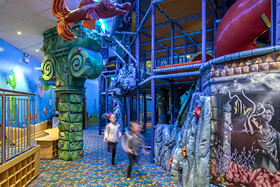 Funtasia Bettystown is also home to the multi-story Jungle Zone soft play area with many different slides, activities and areas for kids to enjoy as well as a toddler area for the younger boys & girls. 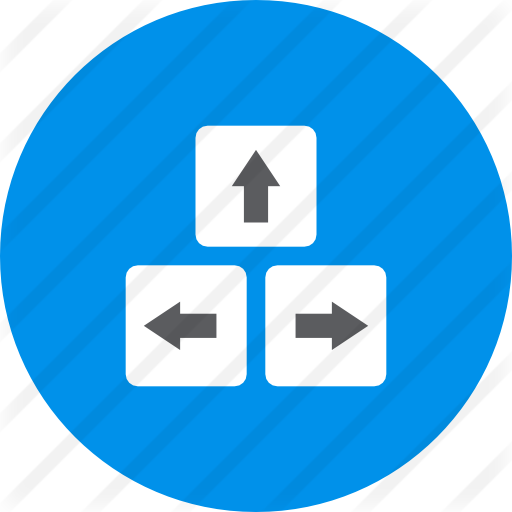 Bowling is an activity that is also available at Funtasia Bettystown. 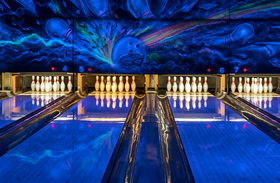 There is 10 lanes of Cosmic themed bowling, a great way to spend time with family and friends. Simply send us a message for assistance with planning your Fun Day out in Funtasia Theme Parks.